A man's been sentenced to 18 years in jail for murder after his victim died 5 years after an attack in Leicester. 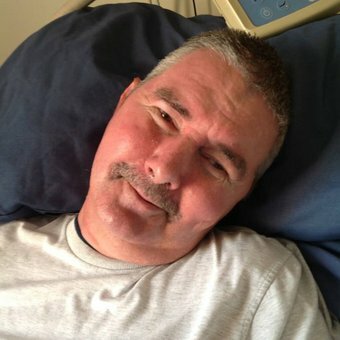 Fred Sluggett was stabbed in the head in the assault in 2009 and was left with severe brain damage and unable to move. He has now died from his injuries. 28-year-old Joseph Moran was originally jailed for assault in 2011 and now he's been found guilty of murder. He has been sentenced to life imprisonment with a minimum term of 18 years. The four years he has already served for the assault will count towards this term. Mr Sluggett was attacked as Moran tried to return to a party he had gatecrashed earlier in St Austell Road, Thurnby Lodge. He suffered knife injuries to his head and chest in the assault. A knife severed an artery inside his head and caused a substantial bleed on his brain. His injuries were so severe that he had no recollection of what happened, required round the clock care and was totally dependent on others. Mr Sluggett died on 25 July last year at the aged of 61. Detective Sergeant Simon Collington, who lead the investigation into the assault and Mr Sluggett’s death, said: “On 16 May in 2009 Fred’s life, and that of his family, changed forever due to the actions of Moran. “Fred had no recollection of the assault and was left needing round the clock care. “Moran has never shown any remorse for his actions that day and their subsequent consequences. “Throughout all this time Fred’s family have shown immense courage and bravery and have acted with dignity throughout. “The evening Fred was assaulted changed his life, and the life of his family, forever. “Those few seconds robbed Fred of his freedom and he was no longer able to do all the things he had loved. In the five years between the assault and his death Fred went from being carefree and happy to a shell of a man who was wheelchair bound and reliant on others. “He had little or no movement in his entire body, except for partial movement in one of this hands, and he was left with brain damage. “We are pleased that justice has been done and that Moran has finally been given the sentence he deserves.